I don’t like the concept of servant leader too much. I think it is often over-stretched, and unduly loaded with moral baggage. But there is one thing I am convinced a leader should do, and should be capable of doing: promote greatness in others. The first step to do this is often difficult enough for many: step back, and leave space for others. But then the next question arises: once you have left space, what can you do more? Here’s an example of what you can do. 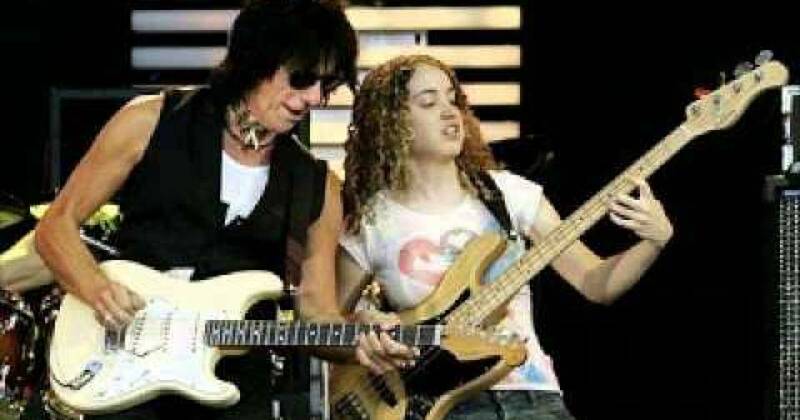 In 2007, 21-year old bass player Tal Wilkenfeld joined Rock legend Jeff Beck for a European tour, this being the second major engagement in her career. At the end of the tour, they appeared at the Crossroads festival, organised by Eric Clapton, Jeff’s predecessor as guitarist of the Yardbirds, back in the ’60ies. In their first tune, Jeff opens with his signature intro to “Cause We’ve Ended As Lovers”, and after just one chorus, hands over to Tal. Notice what Jeff does during her solo. Think what effect it has on the audience’s attention, on how they think about it. Basically he is being a role model to the audience. Notice also how it encourages Tal to increase the intensity of her playing for the second chorus, and how the drummer Vinnie Colaiuta undermines it with his play. At one moment, you can see keyboarder Jason Rebello join Jeff in his mixture of admiring and encouraging observation. Click here to get more posts like this! Imagine you are a shop assistant in a telco shop. A customer walks in with a broken mobile phone. It is clearly a warranty case. Unfortunately, his two-year warranty has expired a month ago. He claims he has been abroad on another continent for two months, he couldn’t come earlier. What do you do? Do you insist on the warranty terms, or do you replace the phone for free? If we put ourselves in the shop assistant’s place, the first thing we want to know is: are we allowed to take a decision? What is the level of delegation, and conseqently of autonomy and flexibility we can take in this case? As we have explored in a previous article on delegation, if the company wants to react to exceptions and unforeseen events, it better delegate autonomy to the front. And since in our case the company has taken this lesson to heart, we do in fact have the autonomy to extend the warranty ex gratia in appropriate, justified cases. Is this enough for us to take our decision? We may follow our personal idea of customer satisfaction vs. cost savings, and decide. But from a company’s point of view, this is not enough. Think about the brand’s identity on the market. Whatever the company stands for, it is essential that the identity is seen clearly and strongly by the customers. How does this happen? It is not so much through advertising campaigns, or the visibility of the logo. Rather, it is the consistency of customer experiences such as the warranty case, that creates a strong brand. You see an advert, you go to the shop, you call the company, you get a service person to your home – and in all these cases you have a consistent sense of what the company stands for. You get the company’s “groove”. Therefore, as a company we don’t want employees to decide how they see fit for themselves. We want them to decide how they see fit in the light of the company’s identity. In our case, the question is how the company stands in the tension between customer satisfaction and cost. If we are a shop assistant working for a discounter, we may want to be more restrictive – and we could explain to the customer that in order to achieve the low prices which they so much appreciate, we unfortunately have to be strict with wavers of replacement costs. On the other hand, if our company is in the premium segment, we will replace the phone without hesitation, because customers expect a premium service for a premium price. The company’s identity serves as an anchor to guide behaviour. So much for the company’s intention. I happen to have had a similar customer experience with a network provider which was positioned in the premium segment. I moved house, and in the process bought a longer router cable in the shop. By sheer luck, I tried to connect the router to the cable a few days before the movers came. To my surprise the cable didn’t fit the socket. I found out that as an business customer, I needed another cable than the residential customers, though the router looked the same. Could I expect the shop assistant to know about that? No, because usually business customers do not go to a shop. But what next? I phoned my support, and the right cable arrived just in time before the movers put a huge wardrobe in front of my network socket. So far so good. First, the shop assistant checked my story in the computer system: Yes, he could confirm that I had in fact moved house two months ago. Then he excused himself to go discuss the case with his boss. When he came back, he gave me the money, saying: “We accept your claim this time, Sir. But note that we are not obliged to do so. Next time you will want to be more careful and bring back the cable in time. We have to be very scrutinizing, because we have too many customers who try to trick us.” I was speechless. Let’s look at this story from a manager’s point of view. In the structural sense of delegation, everything had worked fine. The shop assistant did have the authority to take the cable back after the usual 30 day return period. He did apply this authority to my case, and took back the item. If the manager were to consult the log of the shop’s transactions, he would get the impression that everythig was all right. With his behaviour and comment, the shop assistant nearly lost himself a customer. He conveyed the exact opposite of the “premium service for premium price” identity of his company. In a way, he destroyed the very reason why the authority to be flexible had been delegated to him in the first place. He did not have the correct anchor to guide his behaviour. Now if, as a manager, we are aware of such cases – how do we improve the situation? What can we do in order to achieve more alignment, more appropriate behaviour in the light of the company’s identity? If we apply any kind of rule or regulation, in the sense of “These kind of cases must always be dealt with like that!”, we in fact withdraw delegation, and move our case towards instructions – the capability to deal with the specific nature of each context is gone. The challenge is to improve alignment, without taking away autonomy. Here’s a method by which we can do so. I call it anchoring. It consists in systematically anchoring the preferred course of action in a specific situation to a general, purpose-giving statement. 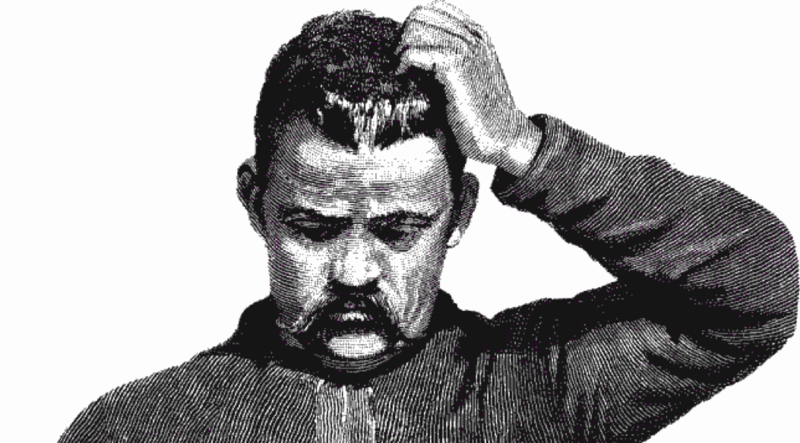 Many good leaders practice anchoring off the cuff, without thinking. The key lies in the discussion of individual trade-off cases. Just like the broken phone, also my cable story could be a case worth discussing from the point of view of a shop assistant. Take the team together, and offer the situation for decision, exactly like I did at the beginning: “A customer walks in with a broken mobile phone… – what do you do?” Three things are noteworthy about the choice of case, and the way to present it. First of all, it is a case. Why is this noteworthy? For whatever reason, many managers seem to shy away from the individual example. There is a tendency to drift towards the generic, towards the one rule that covers them all, towards making one statement which is valid for many cases. And, of course, a large part of management practice is about that. But not here. We have to choose an example, knowing that there are many other examples which are slightly different. Second, the case represents a relevant trade-off decision. Both the broken phone and my cable are examples of the trade-off customer satisfaction vs. cost. Other trade-offs may be speed vs. security. Long-term vs. short term advantages. Standard vs. exception. Our team’s problem vs. a problem for someone else in the value chain. Etc. etc. The reason for choosing our case is exactly that we have noticed, or suspect, a need of alignment, therefore we expect the team members to propose different approaches to the case, and not all will be equally apt. Third, although we most probably base our case on a past observation, it is important to accentuate the trade-off, stop at the moment of decision, and not give any indication as to how we, or the person we observed, have reacted in the real story. From now on, the real story is of little importance – it’s about the way the situation challenges our values. The next step is to collect the diversity of answers around the table. I have seen teams simply tell their answer one after the other. While this approach is simple and fast, the risk is that as soon as the first person begins to speak, the others quietly alter their proposed approach based on what they hear. Since at this point we want the diversity of uninfluenced approaches, we need some maturity, and psychological safety in the team to let everyone understand that they should tell their original idea, no matter what the others say, because modifying their idea at this point would defy the purpose of the exercise. Other teams I have observed have team members write down their answer on a paper, and then read them aloud. In any case, it is important that we don’t start a discussion before everyone has stated their approach. Now that we have the diversity of the team’s approaches on the table, we can open the debate: What is particularly good, what is ok, what is not such a good idea, and what is a no-go? Here, obviously, it is important to let the team speak their mind first, and accept anything that is in line with the company’s intent. Only in case the team comes to a conclusion which goes against this intent, is it time for the team leader to exchange their facilitator role against the role of a judge, and contradict, or adjust, the team’s dominant opinion. In such a case, we take care to legitimize our statement with the anchor, which is described below. At all cost, we need to avoid that the team sees our intervention as arbitrary. Another thing we don’t do, is end the session with a verdict – and again this is in fundamental opposition to many management practices, where it’s all about decisions. It is not the point of these discussios to come up with a regulation, because no matter what, the next case will again be slightly different. It is exactly the intent of this method to prepare for the next slightly different case. If somebody has participated in timeout discussions of ten cases around a certain topic, when they meet the eleventh case in practice, and stand alone to decide, their decision is in fact substantially more aligned to the intent of the company than before. Experience: Focus on collecting individual experiences and augmenting them in exchange with other experiences instead of devising instructions top-down or out of theory. Example: Focus on alignment across a series of examples instead of creating the one generic rule that is valid for all cases. Exchange: Focus on exchange and influence in teams instead of individuals learning by themselves. Experiment: Focus on experimenting and adapting approaches instead of one upfront solution that guarantees success. By applying these principles to our timeout discussions, step by step we increase the alignment across the team, without inhibiting the autonomy of decision that is part of our delegation, and thus we uphold the organisation’s capacity to react to the exceptional and the unpredicted. There is, however, another part of the method that remains to be established – the anchor itself: the strategic storyline. What is the difference between these two explanations? The second version connects the phone replacement to the company’s strategic positioning – the replacement is not just the thing to do. It makes sense. By comparison, in the first version the connection is just to the company’s intention, no matter how arbitrary this intention may be. This has fundamental pragmatic implications: a team member can use and apply the second explanation for so many more situations, while the first explanation is only valid for replacing phones. Carsten Schloter, CEO of Swisscom at the time and one of the top managers that I’ve observed using strategic storylines, guessed that every company has probably no more than half a dozen storylines on corporate level, that provide orientation and meaning for almost every trade-off decision in the organisation. Next to the corporate storylines, there may be some more storylines on local level, such as the need to replace IT systems, or the fact that you’re the small foreign subsidiary of a large national company, and therefore often overlooked when it comes to applying company decisions abroad. In any case, for an employee there is a manageable number of such storylines that help them make sense of decisions and priorities. A storyline is like a reservoir out of which we can draw the justification of behaviour in an individual case. While discussing the case, the relevant explanation can take as little as one sentence. But the reservoir holds more. 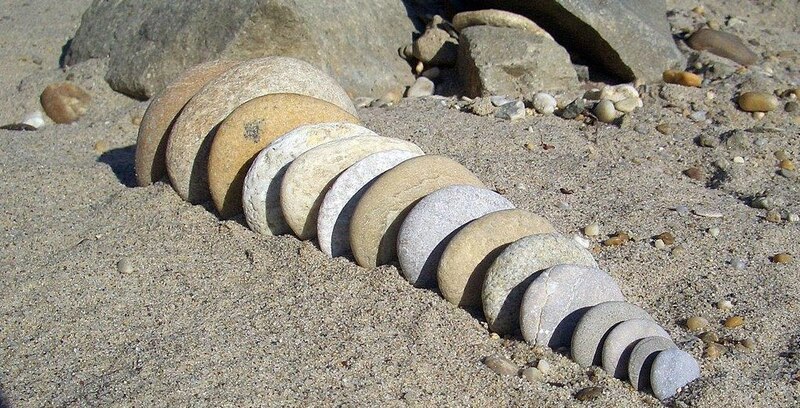 As we will see, the full potential of the storyline as an anchor lies in its repeated application to many cases, and that this repetition is recognised by the audience – again: if we have heard the same storyline applied ten times, the eleventh time we can do it ourselves. It is therefore worth thinking them through at a level which may rarely be applied in everyday conversations, but which does justice to its versatility as a reservoir. Sometimes people make the mistake of creating one big storyline for everything in the company. The consequence is that they mix so many aspects of the company’s reality that it is difficult to understand which parts of it give meaning to which other parts. An essential starting point for a storyline is therefore the choice of focus. What aspect of our company’s reality do we want to emphasise? In the above case we want to explain what it means to be premium. Another company might have a storyline which explains the consequences of growing more internationally than in the domestic market. A car manufacturer may have one to explain the consequences of having a mind-blowing number of product options to choose from. An IT company may have one which explains dealing with the insane speed of technical evolution. Once the focus is clear, a good storyline has between two and four building blocks, that each respond to their own question. Let us look at them one by one. What is going on out there? Anyone’s actions only make sense in their context. Therefore one should not start with what the company does, but what in the company’s context makes its actions look like a good idea. Some may be about the product, the customer, rules of the game of the market, regulations, or supplies. They may have to do with the strategic positioning of the company, or simply with how the business works, e.g. what the key customer interests are. For example, an insurance may start a storyline with the fact that customers are not really interested in insurances, they just want to have one so they don’t have to think about it anymore. And their most regular form of customer interaction is a bill. A hotel having recently become part of a chain may have a storyline about the leverage of customer loyalty, pointing out that if a customer is loyal to a chain, they may prefer a hotel of this chain wherever they go on the globe, whereas for an independent hotel, customer loyalty only makes a difference on the occasions that customers happen to come back to visit the same town. A producer of machine equipment may have a storyline which starts with the fact that due to digitalisation, batch sizes along the value chain become smaller, and therefore the cost of retooling between two batches becomes a more important factor of the cost of each piece. It is important, in this part of the storyline, not to describe the environment in general, but only that part which explains why the next step is a good idea. How do we respond? The second step is inward looking. It describes what the company does in order to respond to the context shown in step one. The insurance company may point out that in all interactions apart from sales, the most important effect to create in the customer is ease. Ease of payment, ease of getting information if needed, ease of handing over the paperwork in a case of damage. Therefore, it is important to optimise end-to-end processes across silos, and to avoid creating difficulties, or questions, in other parts of the company. The hotel may point out to what length they expect employees to go in order to produce customer loyalty, what means they are given to do so, and how they should increase interest in the chain, not just in the hotel where they are staying. The machine equipment producer may emphasise the focus on lead time, and that it’s worth the effort to group similar batches in order to reduce retooling time per batch. In this part, it usually happens in one or two steps that the storyline moves from a general statement about the company, to the context for which we want to make this relevant. In the insurance company, the same storyline becomes to the front-end employees a tale about understanding the customer’s needs and reducing the number of interactions. For the back-office, it may be more about process optimisation. The anchor provides relevant orientation for the behaviour we focus on. How do we tick in order to make this happen? The third step is optional, and gives a nice twist on how culture can be influenced, not by talking about culture, but by talking about the business. If there is a conclusion to be drawn from the first two points towards mindset and behaviour, then it is helpful to make this obvious. In the first example, making it easy for the customer implies elements of empathy – understanding the customer’s needs, and gaining trust: we are the experts who want to be trusted by the customer – in order to do that we need even more trust across our departments. With the hotel chain it may be about learning about the individual customer and understanding what is important to them. Engaging into conversations with customers has a lot to do with the self-confidence of employees. And in the factory, it may be about a culture of responsibility and collaboration in order to take initiatives that go beyond the blind execution of individual tasks. How do we lead in order to make this happen? A second optional element actually depends on the people to whom the storyline is addressed. If they lead others, then it is often possible to draw conclusions to particular aspects or tasks of leadership which become essential – usually related to step three. If you want to increase cross-departmental trust in an insurance company, you should stop the blame game whenever you see it, let people work more together, let your team discover the effects of their work across the value stream etc. If it is about increasing the self-confidence of hotel staff, it has much to do with treating them on eye-level, with how you delegate, praise and blame. And the initiatives you desire in the factory happen more if they are encouraged, and if people have direct access to other departments. As a consequence, Schloter organised several top management off-sites per year where they conducted something similar to timeout-discussions. They discussed two questions: What is the impact of employee behaviour on the business? And what is the impact of top management behaviour on employee behaviour? If we take this back to timeout discussions, we can see that for top management, it is not only helpful to discuss cases of leadership, but to discuss cases of the employees in various parts of the company. In other cases, the anchoring and the alignment effect happens simply because top managers tell stories with the same strategic storyline as anchor. For example, Urs Berger, when he was Swiss CEO of Baloise, had a storyline under the title of “High tech – high touch”. What he meant was that in times of the first e-commerce bubble, many customers wanted to move to digital access, and in the process also called more into the hotline in comparison to the old-fashioned sales agent, or visits to the general agency (step one in the storyline). High tech – high touch meant that the company wanted to be present on both channels, and let the customer choose. This implied for example that there was no difference in prices, although the cost of the various channels was very diverse (step two in the storyline). Berger used this anchor, and the motto, on every occasion he could. I remember once he unveiled a “damage mobile”, a trailer that the company wanted to use in cases of hailstorms – when hundreds of cars had to be checked for hail damage in a region. The trailer could be placed somewhere in the area, customers were informed and brought their cars for inspection. On one side, the trailer had all the equipment necessary for the inspection – notably the special lamps used to discover small bumps in the paintwork. On the other side, there was a coffee machine and a little counter for the waiting customers, and maybe a sales agent who was ready to talk to them about household insurance: high tech – high touch. Another famous example of the use of storylines were the Dormann Letters. Jürgen Dormann was CEO of ABB in the early 2000s, and in this period sent an e-mail to all employees every Friday. The letters were so famous they were even printed as a book after the end of this period. The key storyline of the period was that ABB did not need a new strategy, but that they had to become much more disciplined in executing on the existing strategy. But very few of the letters are about strategy and the like from a corporate perspective. Most of them are along the lines of: “Last week, I visited a site in the U.S., and here’s what happened…”. Again, it is not the generic statement that covers it all. It is examples, and all of them are different, all of them are typical for something, and not at all typical for many other things. And slowly, the storyline became apparent as the anchor of a series of individual examples. Today, this idea can be further developed into various forms of management blogs. I have worked with several senior and top management teams who have decided to write a common blog – taking turns in recording examples around a small number of strategic storylines. The effect of this exercise is twofold: First, the staff perceive very clearly the unity of voice amongst the team: different team members may talk about different examples, but in essence, the message is the same. Second, this unity of voice was established in the preparation work. Not the least since many managers do not feel comfortable writing longer stories, they prepared a bunch of blog posts together. And the conversations – guess what! – had an effect similar to timeout discussions: across the examples, team members developed their alignment of mindset and values. And on this basis, their autonomous activities out in the field became more aligned, too. Are You Sure You Really Know How To Delegate? One of the oldest methods to organise the division of labour is delegation. I have discussed delegation with thousands of managers. My preferred approach to inviting people to use delegation more consciously, is to let them clarify its purpose, and compare it to some of its alternatives. Delegation is a tool to commit useful contributions. A very telling alternative are instructions – including procedures, checklists, workflows etc. When asked about the advantages of delegation over instructions, I invariably get two points. First, people are more motivated when they are delegated a task. They feel ownership, a sense of responsibility, trust being given to them, and therefore self-worth. And second, they can develop their skills over time, whereas with instructions, the development stops once you know how to follow the checklist. After these two answers, the flow of suggestions usually slows down a bit. What is disconcerting about this, is one essential point: the importance of delegation in the face of today’s increasing complexity is only rarely on people’s minds. In times of increased complexity, the advantage of delegation has an effect for the organisation as a whole. With delegation, the organisation is capable of dealing with exceptional and unpredictable cases. 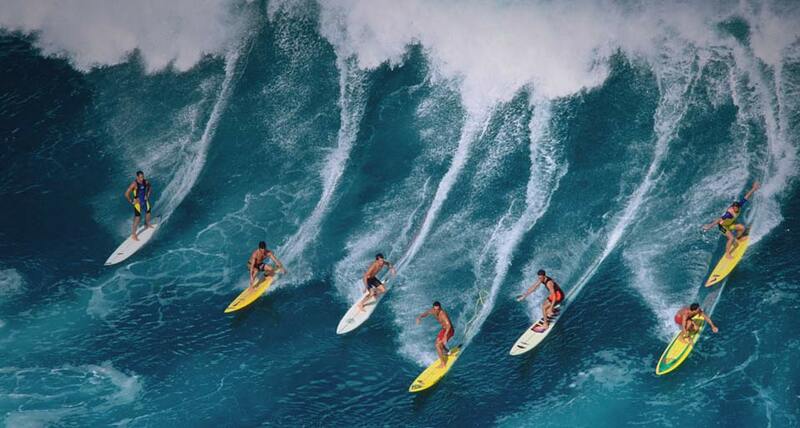 Contextual decisions can take place at the front. Why is that different to instructions? Let’s have a look at instructions first. Many routine tasks, especially if they are sensitive to safety or security, are organised by instructions, and wisely so. The checklists pilots use before starting an airplane: They have just checked all these things before the last take-off two hours ago! Yes, you still follow the checklist. Or how to prepare an operating theatre for a certain type of surgery. They know that in this particular case, it is practically certain that this one instrument will not be needed! Yes, and still you are going to put it on the table, and the whole team can rely on the fact that with this type of surgery, that instrument is there. In an instruction, the executor’s obligation is to follow the instruction. If the instruction was wrong, the executor is not responsible for the bad result. This means that the capacity to deal with situations, both in choice of response, and in timeliness, lies to 100% with the instruction’s author. If a surgeon thinks that in this particular intervention, he would like to have an instrument ready which is not on the checklist, she has to tell the nurse. No nurse can be blamed for forgetting to put something on the table which was not on the checklist. What happens if we do blame them, and they need to “disobey” the checklist in order to do the job, can be seen in the case of the Cernobyl catastrophe. The checklists and procedures were so outdated that in order to operate the nuclear power plant, some of them needed to be ignored, and replaced by an experience-based local approach. The authorities back in Moscow designed a test to be run on the power plant, but the assumption of the test designers was that the reality in the power plant corresponded to the procedure they knew. A fatal misunderstanding. Instructions rely on rigidity and obedience. Once we move from instructions to delegation, this becomes different: Since the executor has both the responsibility for the result, and the authority to take the necessary decisions to succeed, they will put their power, knowledge, skills and common sense at the service of delivering the desired result – they will do whatever it takes to keep the monkey safe and happy. At this point it is helpful to dig a bit deeper into the mechanics of delegation. There is nothing new about delegation as such, but it so happens that many people disregard these mechanics, and therefore delegate badly. As a consequence, the people on the receiving end do not like delegation, taking its bad execution for the thing itself. I would even go so far that much of today’s dislike of hierarchies actually roots in the fact that delegation is done in a faulty way. Most delegations happen within a chain of connected responsibilities. The person who delegates a task to us, is herself commited to a task from someone else. I have asked you to look after my monkey, because I am obliged to appear at a meeting. I have given you the task, and I no longer have it. But what about responsibility? Imagine that whilst looking after my monkey, you are called to a meeting, too, and therefore you delegate the monkey to John. You are allowed to do so, because I have not made a delegation ad personam. But now, for whatever reason, John decides to stay inside. After two hours, the monkey is very nervous, and the room is a mess. I come back, and I am not happy. Who do I complain to? Not to John, but to you, because I still hold you accountable for the task. That you have delegated its execution to someone else does not in the slightest change your obligation towards me. So when you delegate the task, you hand it over, and you no longer have it. But the responsibility for the result has has not been handed over, but cloned: John is responsible to you for the execution, but you are still accountable to me for the result. Given this situation, it is only natural that you care about the execution of your delegation. What does that mean? Think about what is happening to the monkey when John takes her outside. You know what is good for the monkey, it is only natural that you put your experience at the service of the result. The lorry comes, you open the window and remind John that the monkey is afraid, and behind the house there is a park that she usually likes. The children arrive, and you point out to him that it is better to take the monkey on the leash. The dogs arrive, and you warn him to keep a distance. You do this because you care, since you are still accountable for the result. But what happens to John? Step by step, with every intervention in the delegation, in his head the delegation transforms into an instruction. You have told him to put her on the leash? If he won’t let her off the leash for the remainder of the time, you cannot possibly blame him for that. Such kinds of interventions can take very subtle forms. John may ask you about how to deal with a particular problem. And since you know it well, you reply to his question. John goes off and puts your suggestion into practice, and all is well. But if the situation evolves and it is no longer sure whether your suggestion is still a good idea, he will hesitate just a bit more to deviate from what you have said, than if it had been his own idea. Therefore, together with the task that you delegate, you also hand over the authority to take the necessary decisions to achieve the result. At the same time, you are still fully accountable for the result – and you should keep your hands off from intervening? Truly this is a very uncomfortable situation. And the answer to this is: yes, it is uncomfortable. This is the price you pay for the advantage of delegation over instructions, to preserve the investment of John’s competence, creativity and wit, to deal with unexpected situations. The damage created by interventions is taken to the next level when we look at interventions that bypass one or several levels of hierarchy. If John is out on the parking lot, and it is me, not you, who remind, point out and warn him about the various risks, I not only destroy the delegation in John’s head and transform it into an instruction. I also damage your relationship to John. If later in the day John has an issue with the monkey, and sees both of us taking a break from our meetings, who will he talk to? Me, not you. Because he has learnt that it is me who calls the shots, me who will intervene and hold him responsible in case he does something wrong. Your authority over John is substantially broken. 1. It is ok to intervene if the person is in the process of making a mistake. This is not about vague risks, or that we think our idea works better and therefore everything else is a mistake, but about an evident situation where, on stopping the execution, we can explain the consequences so that the person sees that they would have committed an error. 2. It is ok to intervene if their task surpasses either the competence or the authority of the person. In fact in such a case we take back the delegation. If the person deals with a client, and at one point the volume of the contract crosses the line up to which they are allowed to sign, of course we intervene. If the task looked simple, but now has become too complicated for the level of experience of the person, we take it back, and we can legitimise why. 3. The third reason is not always welcome, but it becomes very evident in the light of a complex environment: If a change of objectives promises a better result, it is ok to change the objectives. Take the example of a salesperson. By September a main competitor goes bankrupt, and their customers all try to find a new supplier. The salesperson may lean back and think: From now on, I will achieve my annual targets just by picking up the phone. However, if we look at it from the company’s perspective, this event has opened up a window of opportunity: There are customers out there who are very easy to convince, and for the remaining suppliers, the race is on. Once the customers are settled, we will be back to the tedious work of unsticking them from their existing contract, in order to get them to move to us. In this phase of customers on the search, the most active competitor will make a huge gain. We want people to invest as much as they can, to cancel their holidays if necessary, just this once to get as many new contracts as possible. Therefore, if we are sharp, we fundamentally increase their sales target, and we increase their bonus on the sales target exponentially. We can see with this example that there are two cornerstones of this kind of intervention. One, it must be made evident why the change is legitimate. If people think our intervention is arbitrary, we’ve destroyed the delegation, and created cynicism. Two, many systems that govern targets and bonuses, would not allow for such a change – we are back to the incompatibility of bureaucracy with a complex environment. While delegation hits its limitations as an instrument to deal with complex environments wherever bureaucracy cuts its wings and renders it overly rigid, it can boost its ability on the other end of the spectrum. In the age of unknowable futures and emerging strategies, we can take the concept of delegation out of the hierarchical context, and use it more openly: It does not matter whether the definition of the desired result has happened top-down or bottom-up, nor whether it is of small or large granularity. A delegation is a commitment between two people to deliver a contribution, leaving adequate margin to the executor to take the necessary decisions in response to the context. If you look at delegation this way, you get a very versatile tool. The key is that authority and responsibility is with the executing party, that’s the difference to instructions. Is the delegating party the direct line manager of the executor? Maybe, but not necessarily. Is the executor more de-central, and the delegating party more central in the organisation? Probably, but not necessarily. The only condition is that in the given form of organisation, the delegating party is actually allowed to delegate to the executor. If we are in a hierarchical organisation, the line manager needs to rely on the availability of the resources attributed to them to fulfill their task. Therefore, other people can only delegate to a person if that person’s line manager has agreed to it. If the organisation has a centre, logic demands that most delegation flows from the centre to the margin, where the execution happens. In this sense, delegation can happen between colleagues. In hierarchical organisations, superiors can define the space in which colleagues delegate to each other along a process. The obligation towards the superior is to act according to the defined space, while the obligation towards the colleague concerns the individual task. The most obvious examples are projects. Someone is assigned by their hierarchy to work for a project up to 30% of their time. What happens in these 30% is decided within the project management structure. A brief, or a specification passed from one colleague to the other, may be the same. The famous “internal customer” is in the better case the source of a delegation. In the worse case, it is the source of an instruction. As Dave Snowden pointed out regarding spec sheets, the lists of precise user requirements for software developments: “You make the user sign a document they don’t understand, so you can hold them responsible later if they don’t like the result.” If, instead of the spec sheet, we put delegation at the bottom of the relationship, the user enters in a dialogue about their needs in order to get a software that actually fulfills the task – the core of Agile methods. The concept of delegation between colleagues is the cornerstone of highly de-centralised, and dynamic organisations. A famous example is The Morning Star Company, the largest processor of tomato in the world. The company is totally self-organised, without hierarchical relations. Their network organisation is formalised in one-to-one relationships of delegation, called the Colleague Letter of Understanding, or CLOU. In essence, the CLOU includes five elements: The personal commercial mission, which defines the person’s contribution. The key activities necessary to fulfill the mission. The key measures by which the performance can be gauged. The time made available for these tasks. And the colleagues to whom the contribution is delivered, and who in consequence sign off on the CLOU from the very start. What you get is a networked organisation. As such, the CLOU increase the capability to adapt to changing conditions, to reach out and use relevant knowledge to solve local problems. In 1990, Morning Star was able to oversee the construction of a new, 27 Million Dollar factory with a completely self-organised team of 24 people in a few months only. In 2007, Morning Star made a big improvement when they introduced the digital CLOU, which made short term adaptions much easier. Putting the threshold as low as possible, you make sure that co-ordination actually happens with the help of the instrument, and not outside it. To summarise: Delegation is a commitment between two agents to deliver a contribution, handing responsibility for the result, and the authority to take the necessary decisions, to the executing party. As such it is a key instrument to create de-centralised autonomy. It enables an organisation to deal with exeptions and unpredictable situations. It may surprise to see that one of the institutions who have taken this lesson to heart is the military. A widely regarded stepping stone was the publication of the Study Power to the Edge within the Information Age Transformation Series of the Command and Control Research Program of the US Department of Defense. One of the most striking appliers of this approach was General Stanley McChrystal as head of the US Joint Forces against Al-Kaida in Iraq. He led a task force which included soldiers from the Army, Navy and Air Force, and agents of CIA, FBI, NSA and other agencies, against an extremely versatile, connected and – in terms of methods – unorthodox enemy. In such a highly complex condition, hierarchical decisions and procedures were way too slow. One of the key principles was to radically de-centralise – i.e. delegate – decisions. As soon as they did that, they realised that many of these decisions were coupled to other units. In the old system, the central command structure allowed for a co-ordination of orders and therefore actions across several units. This could happen faster and better if the de-centralised units could co-ordinate directly with the relevant counterpart. For example, someone is observing an enemy meeting point that has been raided the night before. The observer sees a car arrive, people get out, stop cold, get back in the car and speed away. The U.S. observer, 23-year old with little mission experience, contacts other operators to mobilise helicopters to intercept the car and arrest the suspects. When later the parties in the car separate, and take two different cars, the leader of the assault team orders another helicopter to follow the second car. They stop the first car, find out the people are of little importance, keep them arrested, redeploy the helicopters to arrest the person in the second car – who happens to be a senior Al Qaida member. All this within 46 minutes, and no senior officers involved. It is fascinating to follow McChrystal’s conclusions for senior leadership from this sort of experience. First, of course, it is a proof that the work “on the system”, to de-centralise decision-making, is adequate for the highly complex conditions, and pays off. Second, however, and in contradiction to many manager’s ignorance or fears with de-centralised organisations, there are some key tasks “in the system” which remain with central leadership. One is to facilitate strong lateral connectivity: the direct connection between units, and the creation of trust. It would not be realistic to simply expect people on the ground to find out who could be the relevant counterparts, reach out to them and form relationships which work under pressure. Therefore, it is the job of senior leadership to create occasions for this kind of connections to take place easily, and improve from there. The second task is to increase the systemic consciousness of the whole group, “the understanding of the nature of the war we are fighting”. One of the means to achieve this task was a daily, one-hour phone conference with up to 7000 participants across the globe – breaking the culture of secrecy, of passing on information on a “need to know” basis, deeply rooted in the military and secret services. What was going on during this call were not generic, top-level commands or definitions of strategy, but mostly examples and points of view from the ground. McChrystal’s job was to comment, facilitate, but most of all choose the right kind of stories to be shared. While this glimpse into military command draws a clear profile of the leadership tasks involved, the nature of the mission may make it a bit difficult for many of us to draw actionable conclusions for our business, or administrative contexts. This is why in my next contribution, How to Achieve Aligned Autonomy, I want to show practical methods, and business examples, of how to increase aligned autonomy in any organisation. As practitioners we are here to produce results in a specific context. Where do we get help? 1. We put it on the shopping list. 2. We go to the supermarket in due time, for example weekly. 3. We take the list with us when we go to the supermarket. 4. We check the list in the supermarket for each item. 5. For sugar, we go to row 23 at the bottom, and take the same label that we’ve had at home (if we cannot remember the label, we have to be more precise on the shopping list). 6. We take it through check-out, and take it home. As long as the supermarket has sugar, and we have the money and just enough brains to follow these instructions, nothing can go wrong. Now if we take this from sugar to salt, the only thing that changes is the row in the supermarket. And so with toothpaste, clingfoil, mineral water etc. You have another procedure for re-fuelling your car, but it is the same as the one for buying windshield washer fluid. The procedure for buying newspapers applies to candy and cigarettes. The one for post-its, to glue, paper and envelopes. We can have categories with a relatively large number of individual cases each, write a detailed procedure that covers all steps of the solution process, and this one approach covers all the cases in the category. In the complicated domain, this changes a bit. On the one hand, the groups of problems that share a solution become smaller. On the other hand, the help we can get from these commonalities only covers part of the individual solution. Think of the purchasing process for IT. It may include a form to apply for the budget. A minimal number of offers to be considered. Who sits at the table for the decision. But it does not describe your decision criteria in detail, how to research for suitable suppliers, or all the requirements that you put into your request for a proposal. The same applies to a software development framework such as Scrum. It defines some of the roles, artifacts and rules. But in order to develop our software, we have to take many more decisions about the way we collaborate, which depend on our context. Some of them are improvised on the spot: How we make sure Andrew doesn’t interrupt Mike all the time. In other cases, we build an individual, contextual solution out of modules. If we use story points for estimation, there is a recipe how to do it. If we use a burndown chart, there is a way to do that. When we move to the complex domain, there is a fundamental shift towards the context-specific. Since each situation is path-dependent, so are the conditions that make some solutions work better than others. 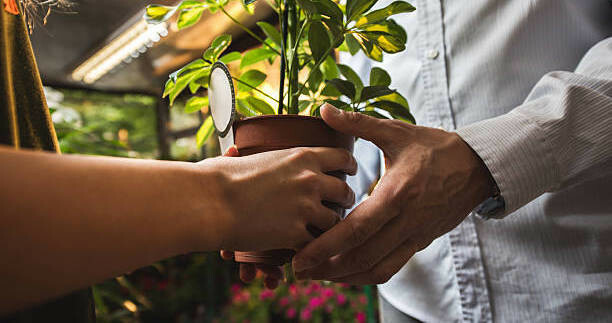 In addition, most of these conditions are invisible, and therefore a good solution emerges from the interaction of our initial approach with the environment. Still, we are not totally blind when we approach a new situation. Not every case is novel, and not every chance of success is unknown. But the way these generalisations work is fundamentally different. Instead of categories, clusters or modules of procedures, we are talking about principles. In my line of work, such a principle may be that consulting is mostly a people’s business. It does not tell me what to do, but it sounds like a good idea if I pay attention to building a relation with the customer, and not just to selling a solution to their problem. This conclusion is still a principle. Step by step, my reasoning becomes more concise, more actionable in the specific context, until in the end it makes me decide what sentence to say next in our conversation. Most of this way from principle to action has been trodden by me alone, and could not be replaced by anything generic. This has an impact on how to get better, and how to get help in the complex domain. There is a fundamental difference between science and the humanities, as it has been laid out by the Neo-kantian school of thought in the theory of science from Max Weber to the present day. Science aims at explaining the type, what you can repeat in an experiment ceteris paribus, under the same conditions. In comparison, the humanities are interested in explaining the individual. If behavioural biologists observe a sealion, they are only interested in what this particular sealion can tell us about sealions in general. If an historian looks at the role Nelson Mandela played in the end of Apartheid, or a literary scholar looks at the influence of Marcel Proust on the modern novel, they are interested in the individual case. The way practicioners learn from these scholars is therefore different, too. Employees in a zoo may read the scientific study of aggression amongst sealions, because they have a particularly nasty dynamic going on in their pool. By replicating what dampens aggression amongst sealions in general, they may expect to dampen the behaviour of their particular bulls. If you apply this principle to Nelson Mandela, the only people reading his biography would be those planning to peacefully overthrow a racist government in their own post-colonial state. Since this would not explain the sales figures, there must be other reasons to buy such a book. Many readers may be looking to be impressed by great deeds, to make sense of what happened, or understand more about humanity. The process that usually takes place here is what Hans Robert Jauss called an oscillation between alterity and modernity: you look at Apartheid, and say. “How very different to my world!” You look at the power relations of leading Apartheid politicians, and conclude: “No, how very similar!” You dig some deeper into the values and beliefs, or their readiness for violence, and go: “No, how very different!” And so forth. And in the process of ongoing comparison, you see your perspectives on your own context challenged, and you learn – not in the form of progress towards the one universal truth, but as an enrichment of overlaying possible perspectives on your situation, and of the assumptions and argumentations that distinguish each one of them. In this process, you may also come to more actionable conclusions. Maybe you get inspired to stand up to a bully at work, or to seek reconciliation with somebody. The difference to learning from science lies in the verbs – replicate versus be inspired. In the second case there is much more building of the individual, contextual solution involved. And this brings us back to complexity. In the complex domain, the conclusions of scientific research can provide us with understanding of some of the domain’s most generic principles, especially if they are counter-intuitive. For example, our understanding about tipping-points, positive and negative feedback loops, attractor basins, or trophic cascades, can make us better comprehend how an apparently stable and slow-moving system such as public opinion can suddenly shift surprisingly fast. For the large remaining part where we are forced to build our context-specific solutions, the way we can learn from somewhere else is not by replication, but by inspiration. Yes, the most effective way is to probe the system and learn from how it reacts now. But experience, the famous educated guess, brings us to better assumptions on which to choose our probes. And this education, rather than instruction, is what we aim for. The problem with the exceptional is it doesn’t happen the same way twice. If, as a manager, you see your organisation like a huge prosthesis, which allows you to directly steer a thousand limbs, you won’t get far with the extraordinary. In the luxury hospitality business, the base-line that every competitor meets is to deliver excellence through expensive and thought-through infrastructure, or procedures and standards devised to provide perfection with a majority of relatively low-skilled staff. The way to outperform, to shine in comparison to your competitors is not with your standard, but with the exception, the extraordinary act in a specific context. Again, if you look at the entirety of these exceptions, you face a complex phenomenon. As we will see, the main trait with which the Ritz-Carlton achieves its results is culture, and the way to build a culture of excellence is to nudge for its emergence. Let us go through the elements one by one. Many companies try to influence culture by formulating some kind of document – values, a vision, a motto. The reason why many of these efforts are essentially naïve is not that these documents exist. It is that not much more exists around them. In the Ritz-Carlton, the respective document is called the Gold Standards. It includes several elements, most notably a motto, and service values. In the form of a small leaflet, employees are required to carry it around at all times. The company’s motto, as stated in the document, claims that “We are Ladies and Gentlemen serving Ladies and Gentlemen.” What is the nudging intent of this sentence? Employees are referred to as ladies and gentlemen. They are seen as people who can meet a guest with a certain level of self-esteem which is the condition on which service and respect can be expressed beyond the ordinary. If you tell employees that there is a sentence that describes how much the company values them, and ask them to carry this sentence with them on a leaflet, you would get cynical reactions in most organisations. Not so at the Ritz-Carlton. It is the sum of elements that create a context in which this potentially empty claim is filled with life. The most obvious is to expect a discipline of wording. On all occasions, managers at all levels speak of their staff as ladies and gentlemen. Taken for itself, this approach would still be shallow. It is obvious that managers use the words because there is a rule that tells them to do so – so it is up to each manager to fill this wording with authenticity. In another instance, the Ritz-Carlton have actually learnt the lesson that mandatory wording, if exaggerated, can ruin the experience. For some time, employees were asked to say “It is my pleasure to…” on every possible occasion. The effect was a slight too monotonous, and sometimes out of place, so that guests and travel journalists started making fun of “my pleasure”. Since then, the Ritz turned to working more on its staff’s posture, instead of the wording. But the “ladies and gentlemen” remained. To reinforce the authenticity of the “ladies and gentlemen”, you can give people a practical experience how seriously the company takes its claim. In a so far unconfirmed story, I’ve heard that new hires are asked to stay several days as guests in the hotel. They work their shift in the kitchen, and then they have dinner in the hotel restaurant, pass some time in the spa, and sleep in a room that usually sells at $ 400.- a night. In another case, when the chain acquired an existing hotel in Shanghai, and renovated the building, the first thing they renovated was the staff entrance. The wording of “ladies and gentlemen” becomes tangible through experiences like these. The Service Values act as vectors. As part of the anchor, they are just claims on paper. But tangible actions, and the authorisation to act, make them impactful. What is the outcome? Here are some examples. A family with two boys stayed in the Ritz Carlton Toronto. The boys played floor hockey in the hallway. Another guest complained. The member of staff went to the room and explained to the parents that their kids could not play floor hockey on the hallway. The parents were very understanding, and asked the boys to stop. And this is how far any hotel would have gone. But the employee said that one of their ballrooms was not in use at the moment. He invited the boys to come play floor hockey in the empty ballroom. He organised some other members to join, and they challenged the family to a match. In Berlin, a family was on their trip home, when it turned out the little girl had forgotten her teddy bear in the room. They called the hotel, and of course the hotel had found the teddy and offered to send it home. Again, this is how far any hotel would go. 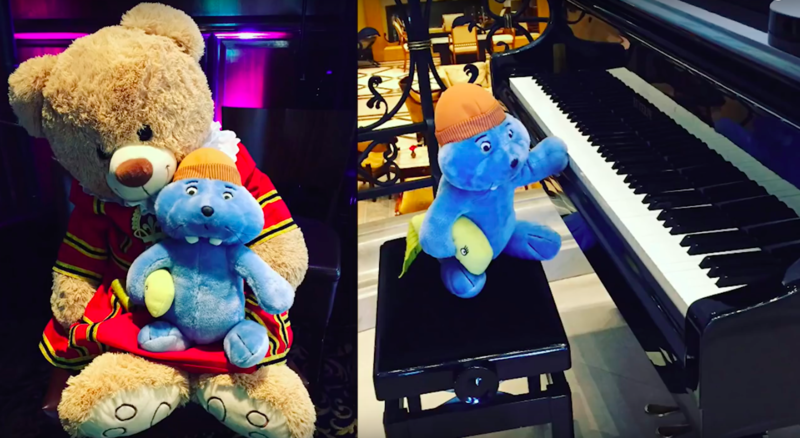 But they took the teddy to the various departments, took pictures of the teddy with members of staff, and wrote a little story about all the adventures the teddy had had during his time at the hotel, and that it hadn’t been lonely at all. How do we learn about such Wow-stories? They are shared. Of course, when they appear on videos made by hospitality trainers, or on the Ritz’s public learning institution’s blog, or are mentioned by the CEO in an interview, they work as multipliers of a marketing effect. But the more important role of sharing is internal. And again, there is a structural element which ensures that. At the Ritz-Carlton, the practice is called the Lineup. It takes place on department-level at the beginning of each shift. For fifteen minutes, the team members discuss one of the Service Value statements from the Gold Standards, share Wow-stories, and use some time for other relevant information, birthdays or anniversaries. The value statement of the day is chosen centrally for the entire Corporation, and the central communication department prepares a worldwide collection of Wow stories for the teams to choose from. Both the statement discussion and the Wow-story part are facilitated by a team member. Motto, Service Values, $ 2000.- rule, and Lineup are all rigid, centrally imposed elements. The Motto puts the person in a certain place – I am a lady or gentleman. The Service Values offer orientation – what would be a good thing to do. The $ 2000.- rule opens opportunities – what am I allowed to do. And the Lineup guides attention to how desired behaviour in specific contexts can look like – how could I do it. Together, they create the structural conditions for nudges which happen in situations that nobody has foreseen, and which turn them into a unique, but entirely appropriate and desired experience. p.s. And if any of my Agilist friends is wondering what this article is doing in their feed – try finding the values of the Agile Manifesto in the story. Many have pointed out that the word to manage comes from the Italian maneggiare, and originally refers to the training of horses and riders in the arena, or manege. The classical metaphorical use is this: the rider is the king, or governor, the horse is the people, and both learn. 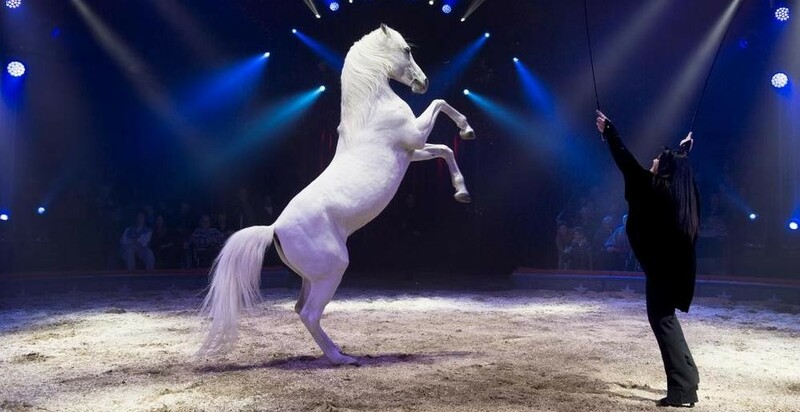 On a slightly different note, the image reminds me of a situation when we brought our daughter to a public horse training session at the Circus. The trainer had a microphone, and commented on his moves. The horses were in a queue, and he invited one after the other to do a trick, and then join the end of the queue again. Not every horse did the same trick, though. For each horse, the trainer chose the one level which was the next possible step, the mental barrier the horse had to work at, and overcome. Whether the horse succeeded or not, it inevitably joined the back of the queue again. For each horse, the trainer chose a rhythm between attempts and little corrections. If a horse failed, it got an easier trick next turn round, to regain self-esteem. Keeping an eye on that balance of self-esteem as a condition for competence, was key to the trainer’s success. What was important – and here’s the nudging in the story – is that the horses were able so see each other. On the one hand, they were stimulated by watching the others. There was a certain competitiveness, although it was very important to accept that the degree of competitiveness was different with each horse, and there was no point in trying to coerce an uninterested horse into becoming more competitive, e.g. by some kind of carrot-and-stick method. On the other hand, by witnessing their fellow’s exploits, the horses learnt from each other. What I like about this analogy is the notion of the next possible step, and the intricate conditioning of the individual succession of tricks, and the group, that created a progress of performance. These lessons remain useful even if you take away the superiority of the trainer in terms of knowledge and purpose orientation, and replace the figure by an agent in the system, who can sometimes modulate the architecture, and otherwise influence with intent. Robots Taking our Jobs Away? Think Again. Imagine you are a farmer in a remote village in the woods. You are working your field all year, planting beetroot and other healthy and nutritious plants. Your harvest is more than enough to feed your family, and you can sell some at the village market. Now technology advances, and at some point you can use your proceeds from the village sales to buy a tractor. But you have to take a loan, and the tractor needs to be serviced. You couldn’t pay for that from the profit you had so far, so you cannot work less and spend more time relaxing on the farmhouse veranda. What you do instead is you clear some more of the woodland, and expand the fields. This way, not only can you pay for your tractor’s loan and servicing, but you have a bit more money at the end of the day. Maybe for some time you can go on planting beetroot, and sell it at the village. But at some time people have enough beetroot, especially since other farmers have bought tractors, too. So you wouldn’t make any profit from your increased productivity of beetroot. Instead you turn to putting your means of production to some other use, maybe berries. People in the village all have some more money left because of the technological evolution, and are happy to top up their beetroot meals with some desert. Everybody is happy about this. Then technology advances further, and you can buy a self-driving tractor. It wipes away part of your work, and if you haven’t had enough engineering skills to do the planning, programming and tractor servicing yourself, you may not have anything useful to do on the farm. In principle, you are facing the same two questions all over again: What do you do with your free time? And how can you make sure you earn enough money to afford the tractor – especially because by now the margin you can make on selling beetroot and berries will be rather low. Again, the answer is that you will turn your superfluous resources to producing something else that can be of value. You clear some more wood, and plant flowers so that all the lovers in the village can delight each other with wonderful bouquets. And since the self-driving tractor takes care of growing the flowers, your job now is to compose beautiful flower arrangements, and maybe with your taste, experience and conversation make the bouquet something personal, so that your customers can take home a gift that is special, “just for you darling”. And so the development goes on and on. With every activity taken over cheaper by technology, humans will not just sit and starve, but turn to producing something else of value to each other. And humanity progresses from eating beetroot to having desert, to having flower arrangements on their table. Where are the limitations? In the present discussion about tech taking over jobs, it looks like it is human creativity and skills. It’s true, drivers and warehouse employees may not be ready to become software engineers. But I believe that there is no limit to what human creativity can find to produce something of value to each other. Remember: Silicon Valley is famous for the increasing number and quality of farmer’s markets. Turning back to our story, I think other limitations are more pressing: What if we don’t have enough woodland available to clear and grow the flowers? How can we be sure that the villagers can afford the flowers? And probably the most important of all: Imagine that the farm in the story was a bit larger, and you have an owner and several farm hands. Now the increased profits from the berries and the flowers go to the owner, but not necessarily to the farm hands. The farm hands won’t be part of those who can afford berries. And if they had been tractor drivers, the self-driving tractor would drive them out of a job. Now they don’t have the money to clear some new land. They cannot take a loan for a tractor of their own. They have free time, but whatever value-creating activity they turn to, they cannot afford the upfront investment to build a new basis for their existence. I suggest that when looking at the social effects of technology substituting jobs, we closely observe the growing gap between what you can earn from what you do, and what you can earn from what you own. 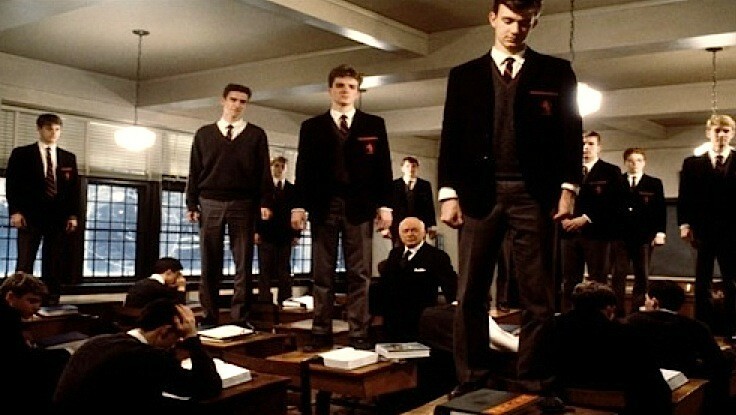 Imagine two groups of schoolboys in a class. In one group, they believe that the best way of resolving conflicts is to hear out the arguments of each side, and find out which holds up better to a set of shared values. The other group prefers to resolve conflicts by punching each other until the other party ceases. In the absense of outside influence, how do conflicts tend to be resolved between the two groups? Or think about two flatmates. One of them thinks that the best moment to wash the dishes is just after the meals. The other one prefers to let them in the sink and wash up while preparing the next meal. Unless they agree on rules about this, what tends to happen? Last example: How do you decide with your family what to do on weekends? Some prefer to think ahead, invite people or buy tickets for an event while they are still available. Others prefer not to decide before Friday evening, because who knows what the weather will be like, or how tired you are from the week? Again, if both of these schools of thought are present in a family, which one tends to prevail? These are all examples of what I like to call, for lack of a better word, inherent asymmetrical dispositions in a system. Unless you do something about it, one of the possibilities tends to happen more often than the other. It is worth taking a closer look at these phenomena, in order to better understand when you can foster this asymmetry in your favour, or what you can do about it if you don’t like it. All these examples have to do with what happens when people simply act according to their preference. But there are some fundamental differences as to why that creates an imbalance. In the first example, if the punchers act out towards the talkers, the talkers get hurt unless they hit back. On the other hand, the punchers won’t suffer, or be deterred from hitting hard, just because they are invited by a talker to a debate. So at some point the talker will start punching for self-protection. Think about police fighting criminals, or the “war” against terrorists. The law enforcment, whose monopoly of legitimate violence is constrained by a number of regulations, is constantly tempted to abandon these limitations in order to level the playing field of unbridled aggression. In the second example, the damage to the party on the short end of the stick is less substantial. To cease means to tolerate that there are dirty dishes in the sink for most of the day. But the asymmetry resides in another, temporal aspect of the situation: the difference between acting now and acting then. “Now” is at the end of a meal. The preferred course of one flatmate is to do nothing at this moment, while the other would prefer that the washing up were done now. At this point, the latter person has a choice between two evils: accept to let the dishes in the sink and wash up together later, or wash up now by yourself. By comparison, the options for the first flatmate are very clear: whatever happens, do nothing and stay out of it. Either you will wash the dishes at your preferred moment, or by then the dishes will miraculously have become clean. Because of the division of doing it one way now and doing it the other way then, the winning party can have it their way by doing nothing. Think about climate change, energy saving, or the reform of the pension system, and you see the same pattern. The same is the case for the weekend planning. If some people in the family would like to decide Monday to buy tickets for a show next Saturday, the others can have it their way (wait with the decision, even if it means that later the show will no longer be an option), just by not committing just now. Again, the planners in the family have alternatives to the “wait and risk”: Buy tickets, but just for those who have committed to come, or buy tickets for everyone. In the latter case, they take on a responsibility for the non-committers, and risk to see a week-end where the others lament that they are forced to participate in something they consider – by now – a bad choice. In any kind of community which relies on the voluntary commitment of its participants, the asymmetry is in favour of doing nothing just now, and if you want to do something anyway, you have to take responsibility for others, and stand up to face the consequences. How many democratic governments have asked the people what they want, gotten a confused answer, done what they found best anyway, and later got punished by voters who had made up their minds only after the fact. If you are on the short side of this kind of asymmetry, what are your options to change the system? The only way I see is by enlarging the boundaries of the relevant system. Make the playing field part of a larger playing field, where the odds are different. In the case of the violent schoolboys, involve teachers, parents, take pictures to impact the other boy’s reputation where it matters to them. In the latter two cases, move to a meta-level, discuss and re-frame the conditions of mutual commitment: how can we agree to live together in a way that is acceptable to all of us, and what are acceptable ways to point out this agreement in a particular asymmetrical situation? In a way, if you look at civilisation, I believe that it is constantly on the short end of this kind of inherent asymmetry. From small scale situations like politeness, over questions like what you do or don’t do to other people’s or common property, to fundamental system architecture like the division of powers in a democratic state, many of today’s most fundamental achievements of civilisation rely on a degree of voluntary commitment of people on both sides of a disagreement, and many of society’s most fundamental decisions are between doing something now and doing something then. Therefore, to stand up against the inherent asymmetry in the system, civilisation needs to be a conscious process, and its nature, and conditions of existence, need to be continuously raised to people’s attention. In my work as a leadership trainer and adviser, I observe two ways in which leaders deliver value. One way, they are prompted to do so by the “operating system” of the organisation: If there are annual performance reviews, they get a message from HR with a task, a form, and a deadline. If they have conversations with their direct reports in order to fill in the form and get a signature by the end of the month, they “do the job”. The better the form, the better the result. The second way is by individual competence. They have learnt “SMART” or a similar acronym to formulate objectives. They know the difference between feedback and appraisal. They understand what difference it makes if you tell your judgment first, or if you let the direct report give their point of view first. They know how to defuse tension in the conversation. What is the difference between the two? With approaches that deliver value through the “operating system”, the categorisation of contexts to which the approach should be applied is at the very core of the tool’s design. By comparison, individual competence always includes the capacity to adapt the approach to the context at hand. Individual competence is also applicable outside the set task of annual appraisals, even outside of what’s predictable to the institutional perspective: in our example, at the end of anything that you have observed a person do. What are the comparative advantages and disadvantages of these two approaches? Dave Snowden describes this dichotomy with the analogy of recipes and chefs in cooking. If a recipe is well written, it works – provided you have all the correct ingredients and equipment. You put flour in the sauce because it says so. But if you have no flour, to save the dish you have to know about the binding of a sauce, and how you can achieve it in different ways. Instead of flour you can take butter, or boil potatos with the sauce because of the stark, or take egg yolk – but then you must not heat the sauce over 70°C otherwise the egg curdles. In other words, you need to know how to cook. I remember when as a student I had my first real life tests of cooking. With the right cook-book, I was able to deligt my guests with very little experience indeed. And this is what we can take out of the analogy: capacity-building through operating systems can produce a fair result no matter how experienced the users are, but if you need to adopt your approach to individual contexts, and further develop them, you need to build individual competence. However, when you look not at individuals, but at groups, it gets a little bit more complicated. IMG, a financial sector’s pioneer in adopting Agile, states in a promotional video that exemplary companies such as Google, Netflix and Spotify “believe firmly in the methodology called Agile”. Observe the choice of wording. No-one would say they believe firmly in the screwdriver, or in meeting minutes, or in attributing deadlines to tasks. But the more elaborate and branded a methodology becomes, the more natural does the verb “believe” sound next to it. Try a web search: Believe in Production Cells? No results yet. But you get hundreds of results for Believe in Lean. Believe in Six Sigma. Believe in Total Quality Management. Why is this choice revealing? The difference between faith and insight is that faith needs no proof. Don’t get me wrong: it is not a question of whether there is a proof at all. It is just that proof is not needed, whereas a pragmatic approach would act upon proof, search to get proof as quickly as possible, and constantly check whether any alternative, or variant, delivers a better proof – in the context at hand. 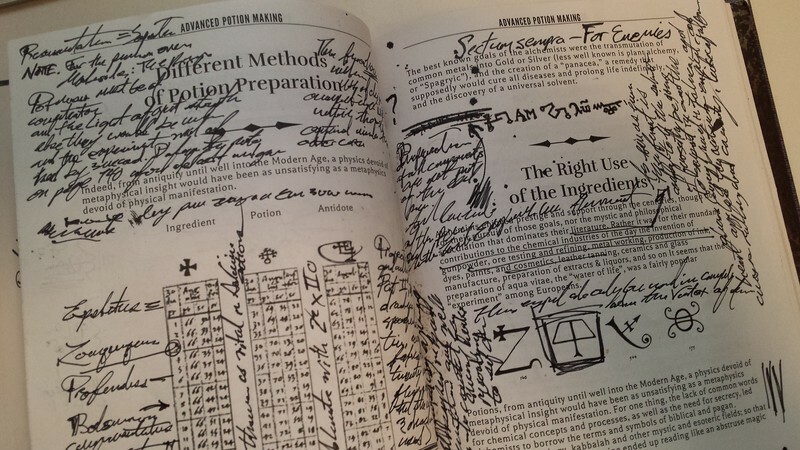 For a group of believers, the recipe book becomes a book of worship. The name becomes a brand: Six Sigma, Lean, Scrum, Holacracy. The followers form a cult: They meet and connect at communities of practice and conferences, they look each other in the eyes and confirm that their choice of cult is a really good one, and that knowlege from within the community is more trustworthy than anything from the outside. Amongst the members, there is a particular subset: the priests. Those whose professional existence depends on the perpetration of the cult, and who therefore become its most fervent defenants. In most cases, there is a hierarchy of ascension: You can get certified to prove that you are of a higher rank, both as cult member and as priest. And again, behind certification you get an economic model, with an in-built desire to perpetuate, standardise, and monopolise. “Operating systems” are monotheistic by definition. The advantage of the cult is that it is easier for an organisation to start a change, open the door for something new, and get traction fast, by jumping on the bandwagon of an established movement, instead of building something from their own context. It is amazing, especially in very large organisations, how many people are at their position almost uniquely on the basis of their capability to apply a certain recipe book. They have their belt in Six Sigma, or a long abbreviation behind their name with some variation of P.M. for project management. Outside their recipe book, they may be as useful as a disoriented chicken. But I take it they are worth their money, as long as the operating system provides a well-defined and stable place for their contribution. The downside is that since the recipe book of the cult does not always fit the context, the context is made to fit the cult. And this creates friction with the environment. The organisation may mature, and the number of people grows who realise that it is time to discard the recipe book, and learn to become a chef. But other than the individual path of development, in a cult you have to step up against all those factors named above which reinforce the existing practice, and want things to stay the same. As the friction with reality becomes more evident, the number of dissatisfied people grows. Some people may survive for a surprisingly long time under the thick skin of cynicism. Others may look for alternatives in the wrong direction. Instead of becoming chefs, they look for a new recipe book. For a quality manager with a belt in Six Sigma, the introduction of Good Management Practice is a lesser threat. Yes, they do not know how well they will be able to exercise their function in the new operating system. But they know the way to change that: get certified. And they know that if they are amongst the first to get certified, their value is in high demand. By comparison, the career of a chef is a path of never ending threats. You have never learned enough. You will be wrong many times. There is no certainty. Max Beerbohm has once observed: “You cannot make a man by standing a sheep on its hind-legs. But by standing a flock of sheep in that position you can make a crowd of men.” Let us value the people who do not stand with the herd. And let us listen to the sheepdog’s barking from all side, and form our own opinion. Tod durch Komma – wann soll man worüber entscheiden? “Du bist Direktor eines Gefängnisses im deutschen Kaiserreich. Kaiser Wilhelm hat angekündigt, dass er zur Hinrichtung eines Hochverräters persönlich anreisen werde. Zum besagten Termin herrscht übles Winterwetter. Zur vereinbarten Zeit ist vom Sonderzug des Kaisers keine Spur zu sehen. Der Zeitpunkt für die Hinrichtung rückt näher. Dieser Artikel könnte jetzt von der Missverständlichkeit von Führungskommunikation handeln und davon, dass Untergebene immer am kürzeren Hebel sind, selbst wenn es sich wie bei den meisten Managern um Gefängnisdirektoren handelt. Aber darum geht es uns hier nicht. Die Chancen, dass Du das fehlende Komma an der falschen Stelle setzt, stehen 50 zu 50. Und je komplexer und undurchsichtiger die Welt, desto öfter sehen wir uns in die Lage des Gefängnisdirektors versetzt: Wir müssen entscheiden, obwohl es keine Wahrscheinlichkeit gibt, richtig zu liegen, geschweige denn eine Sicherheit. Eine erste Heuristik, in solchen Situationen zu entscheiden, wäre der kategorische Imperative von Heinz von Förster: “Handle stets so, dass die Anzahl der Wahlmöglichkeiten zunimmt.” In diesem Fall ist es für unsern Gefängnisdirektor besser, mit der Hinrichtung zuzuwarten. Sollte er falsch liegen, hat er zwar den Befehl missverstanden, aber er kann die Hinrichtung nachträglich vollstrecken. Falls er sofort schiesst und damit falsch liegt, kann er seine Handlung nicht mehr korrigieren. Eine Ableitung aus diesem Grundsatz wäre, mit schwer korrigierbaren Entscheiden so lange wie möglich zuzuwarten. Aber wie so oft bei Heuristiken gibt es auch gute Gründe für das Gegenteil: einen Teil der Optionen bewusst und frühzeitig auszuschliessen. Ich war einmal an einer Veranstaltung, wo Führungskräfte einer Regionalbank über Massnahmen der Strategieumsetzung diskutierten. Ganz zu Beginn stellte der Direktor klar, dass alle denkbaren Optionen diskutiert werden sollen, mit einer Ausnahme: Die Schliessung von Filialen in abgelegenen Gemeinden stehe hier nicht zur Debatte. Was hat er damit erreicht? Auf einen Schlag sind geschätzte 30-40% der Diskussionszeit für andere Themen freigesetzt worden, da dieses hochemotionale Thema soviel Aufmerksamkeit gebunden hätte. Und selbst wenn manch eine Filialschliessung vielleicht sogar eine ganz gute Idee gewesen wäre, so wäre die wirkliche Diskussion dieses Thema ganz sicher mit den politischen Stakeholdern zu führen, und nicht mit dem Management. Spätes Entscheiden bringt uns also Handlungsmöglichkeiten, frühes Entscheiden Fokus und Speed. Was ist besser?